Wedged between two financially dependent generations, many South Africans in their middle years are feeling the squeeze. 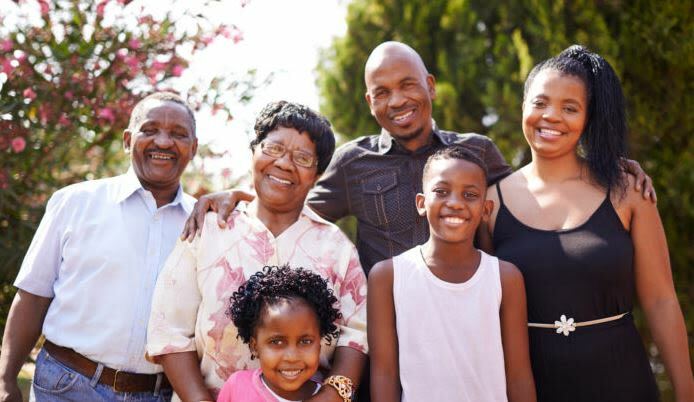 As many as 28% of South Africans who live and work in metros are supporting both their children as well as their parents, siblings and other family members. With this statistic growing by 2%, on average, every year, becoming part of what researchers call “the sandwich generation” is a likelihood for many South Africans. Lizl Budhram, Head of Advice at Old Mutual Personal Finance, advises South Africans to focus on the things they can control. You can’t control petrol or interest rate increases. But you can take steps to reduce the impact that supporting family and loved ones has on your own financial goals. She points to a 2018 Old Mutual Savings and Investment Monitor finding that 27% of South Africans are in the sandwich generation - looking after their children, parents or other family members. If family obligations are something you expect, you need to plan for them, preferably in advance. The phenomenon of the sandwich generation stems from the financial expectations of older family members. Whether they voice these expectations or not, they can put a huge amount of pressure on you. She suggests communicating openly with your family. Together you need to establish the difference between their needs and their wants – and then discuss what you can and can’t afford to do to help them. It’s very important to remain realistic about what is feasible for your own monthly budget, and what isn’t – and then scale accordingly. Budhram says the next step is realising that you don't have to put on hold your long-term financial dreams – but you need the right advice and solutions in place to achieve them. Researching the different types of savings options – and how these are taxed - is key. Tax-free savings accounts (TFSAs) and retirement annuities are two savings vehicles that allow you to maximise your savings through efficient tax benefits. TFSAs allow you to save up to R33 000 per year (R500 000 over your lifetime), enabling you to take advantage of the benefits of compound interest over the medium to long-term without having to pay tax on interest, dividends or capital gains. It’s also a good way to save for a rainy day or emergency because you can access your money immediately. Structure your contributions so that they are transferred automatically after payday each month. It will help to give you peace of mind. A retirement annuity (RA) is a longer-term investment. While TFSAs are flexible, RAs provide a more fixed investment, with cash withdrawals only possible after the age of 55. Even then, by law, you may only withdraw one-third of the lump sum. The remaining two-thirds of your total RA investment must be used to buy a life or living annuity. Budhram also raises the importance of educating younger family members or children about the value of financial planning. These younger generations are your legacy. Sharing your knowledge with them will empower them to make good financial decisions one day. But the best way to teach them about money is to lead by example and demonstrate the responsible financial behaviour. The final step is drawing up a financial plan that takes into account all the information you’ve gathered from your open discussions with family members as well as your research into different types of savings vehicles. Your holistic financial plan should cover immediate and future expenses like rent for family members, children’s tertiary education, or your parents’ medical or retirement care needs. You also need to include risk cover – to protect your ability to earn an income in case of retrenchment or disability – and funeral cover should a family member pass away. Budhram says that the best way forward is to consult a trusted financial adviser. An adviser will partner with you not only to create the plan – but to track and evaluate it. This constant evaluation is critical to ensure you meet your financial obligations and longer-term goals, while also enabling you to adapt the plan to life’s twists and turns. Young(ish) South Africans tell stories of the mixed emotions they feel when supporting family members, and tips from an advisor. It’s more relevant to refer to the “Sandwich Generation” than “Black Tax”, says Gerald Mwandiambira of the SA Savings Institute.